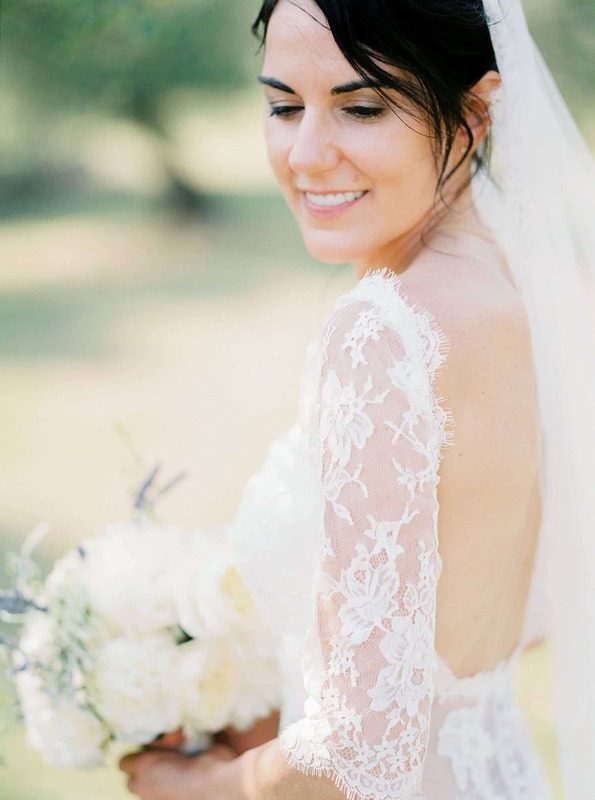 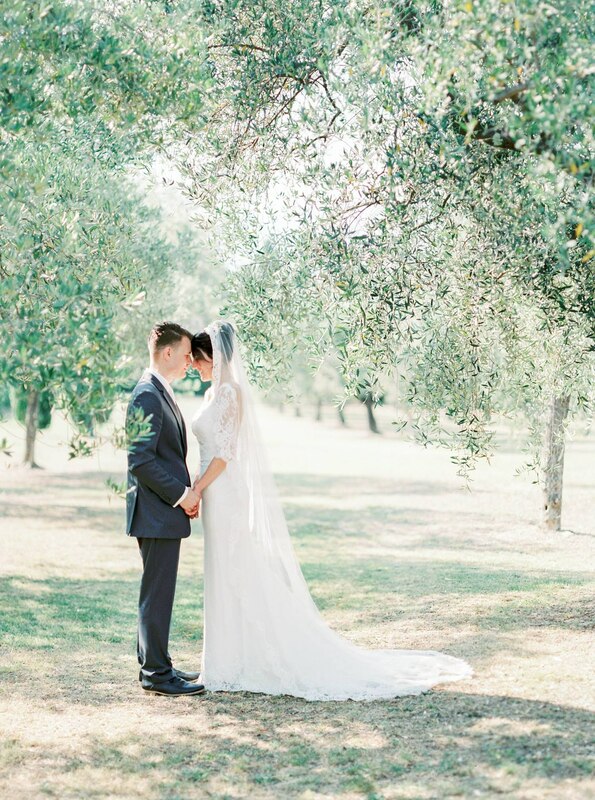 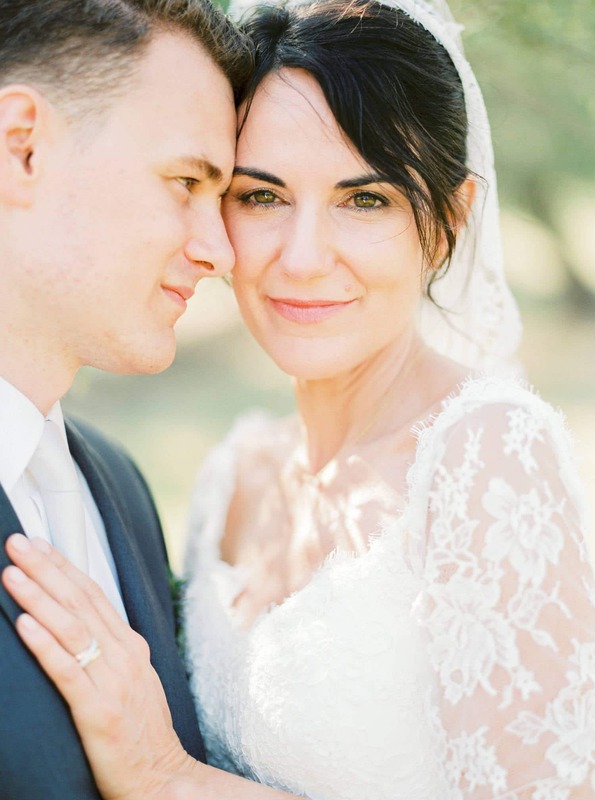 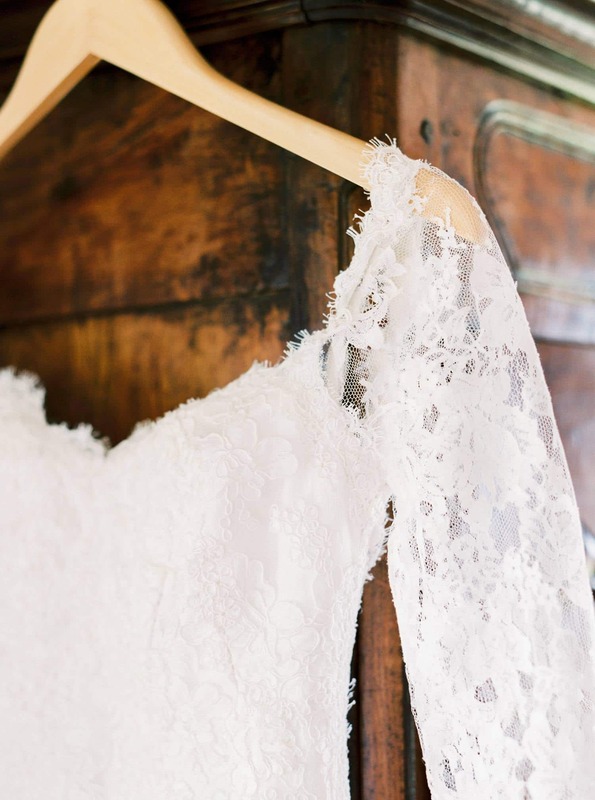 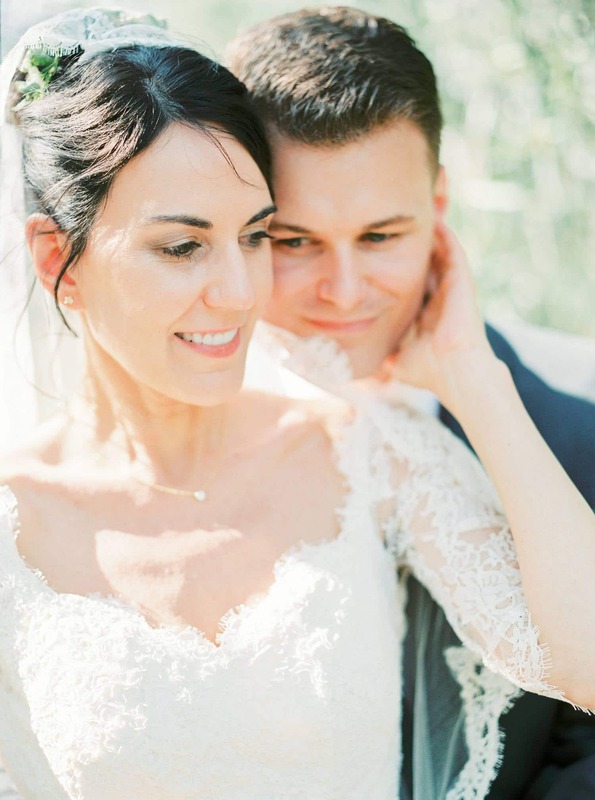 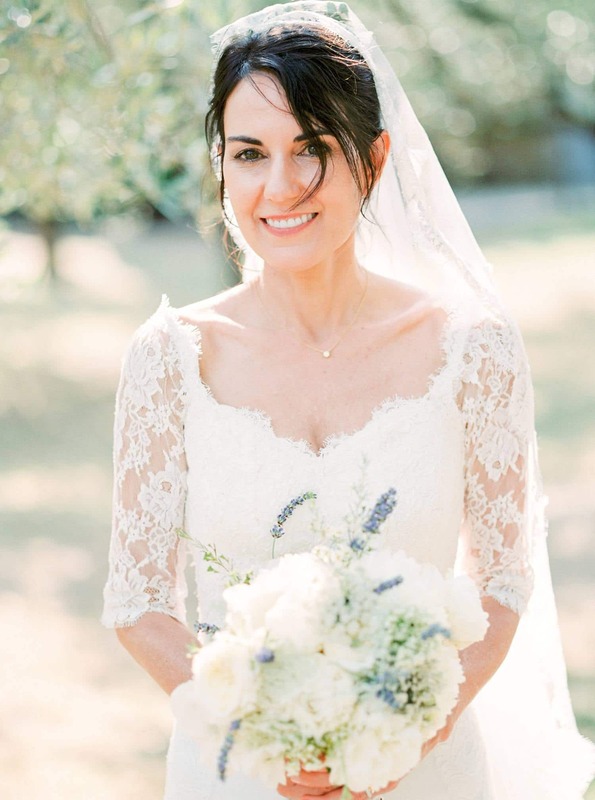 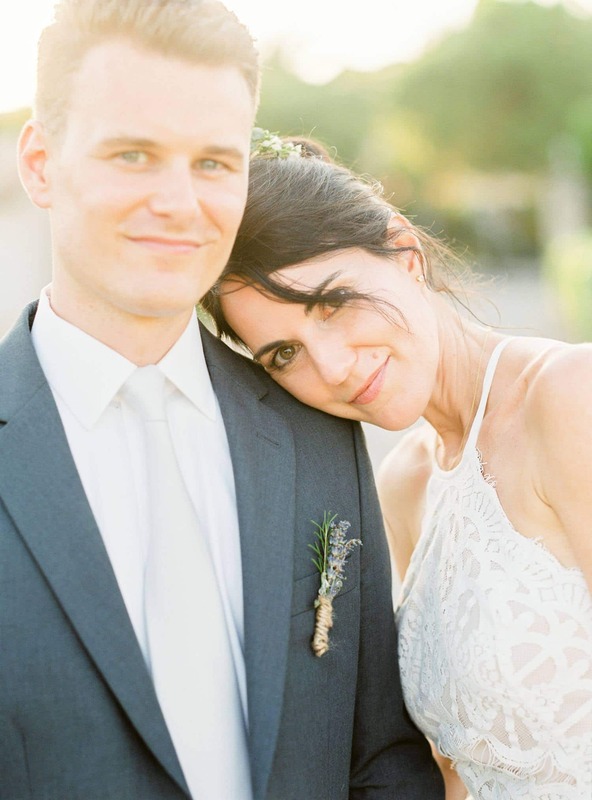 This intimate and organic Provence wedding was the perfect way to tell you the story of the utterly romantic day of Sylviane and Adam. 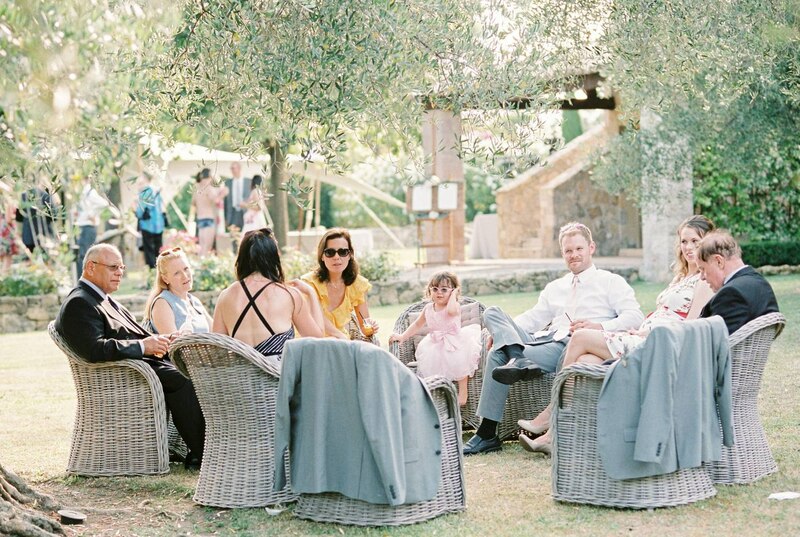 The private villa with its olive trees, traditional building style, and gorgeous swimming pool was the ideal decor for a both organic and sophisticated wedding day. 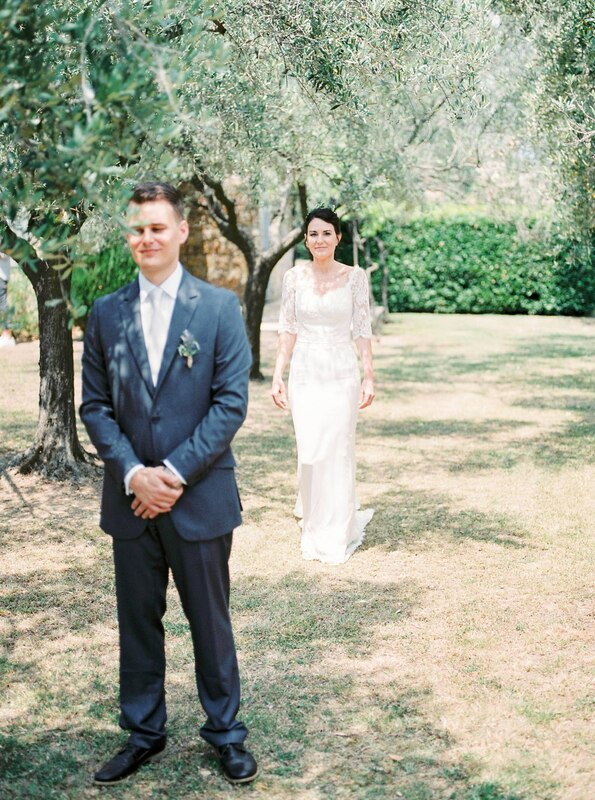 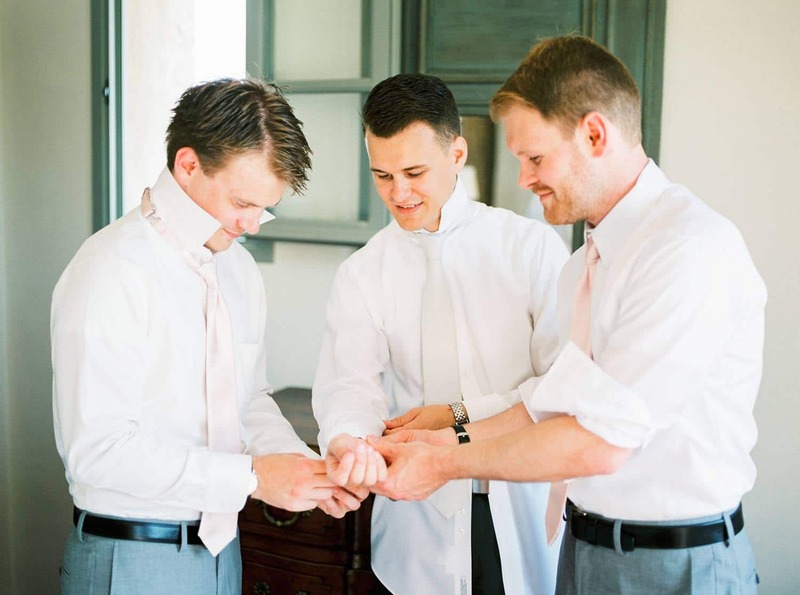 In the morning, the couple and their guests gathered at the ancient church of Grasse, where the couple exchanged their vows in a traditional ceremony. 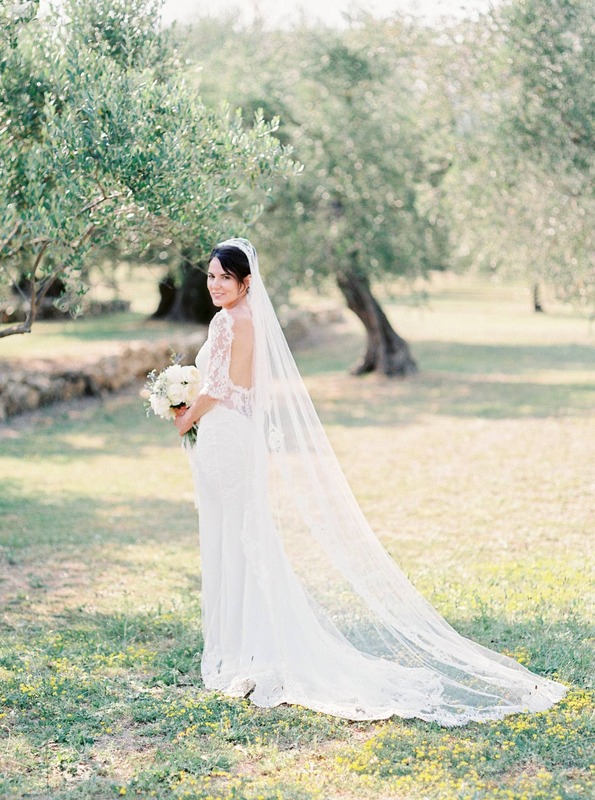 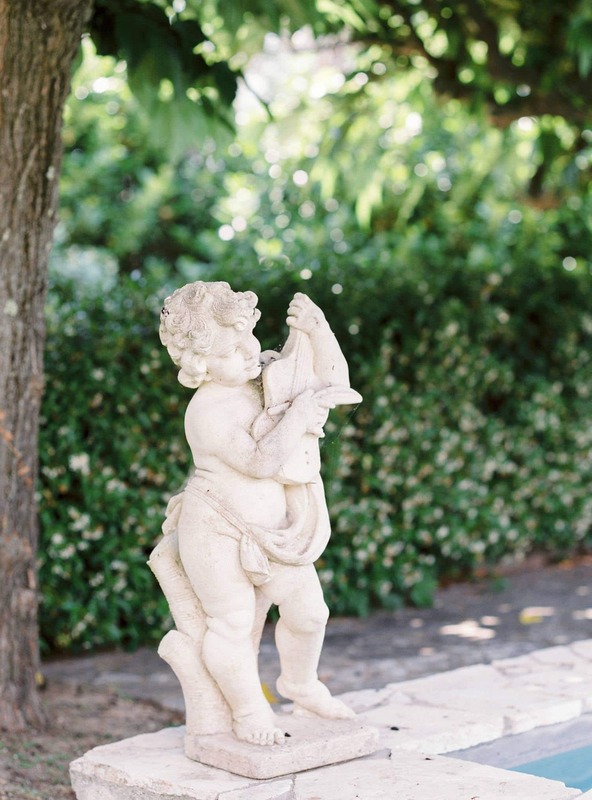 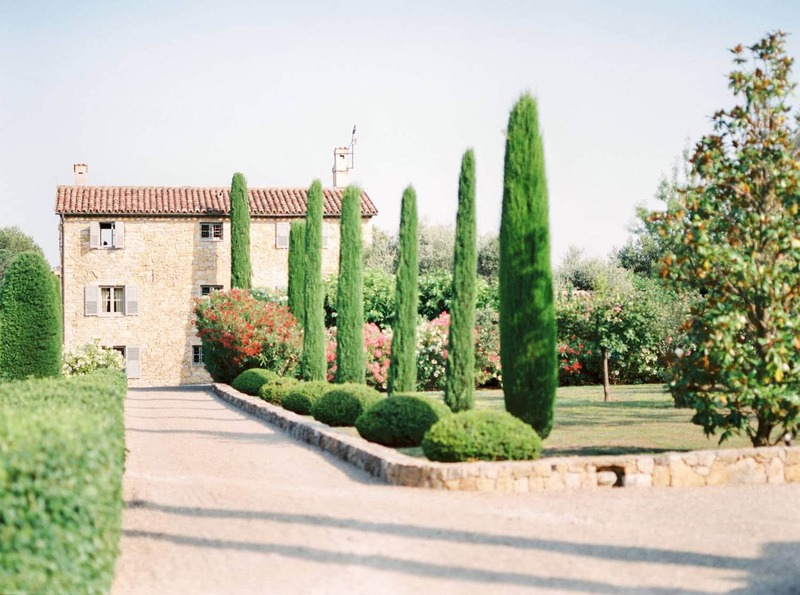 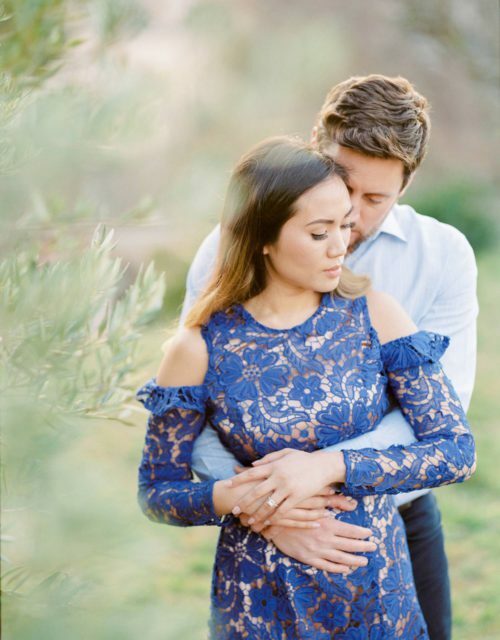 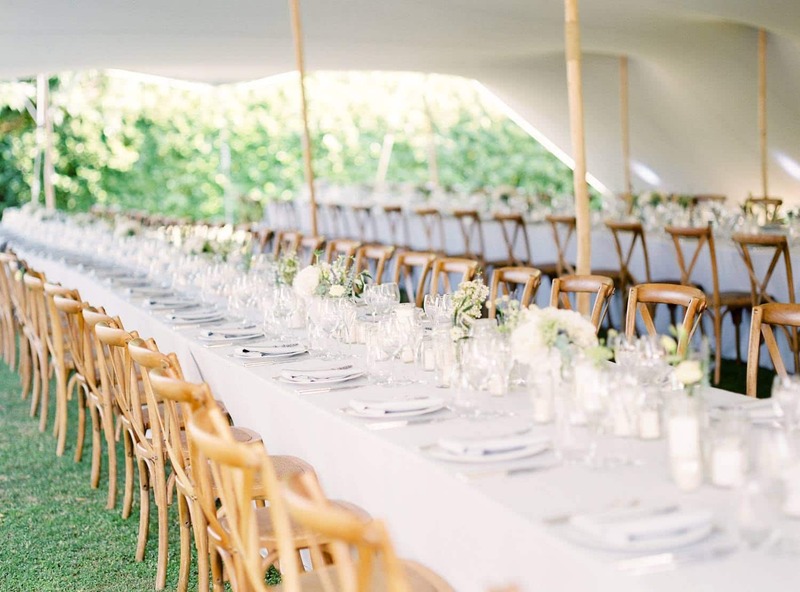 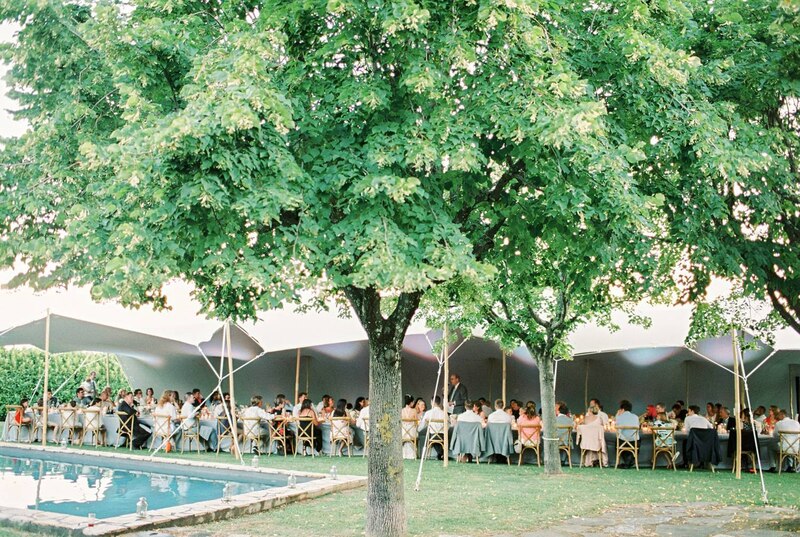 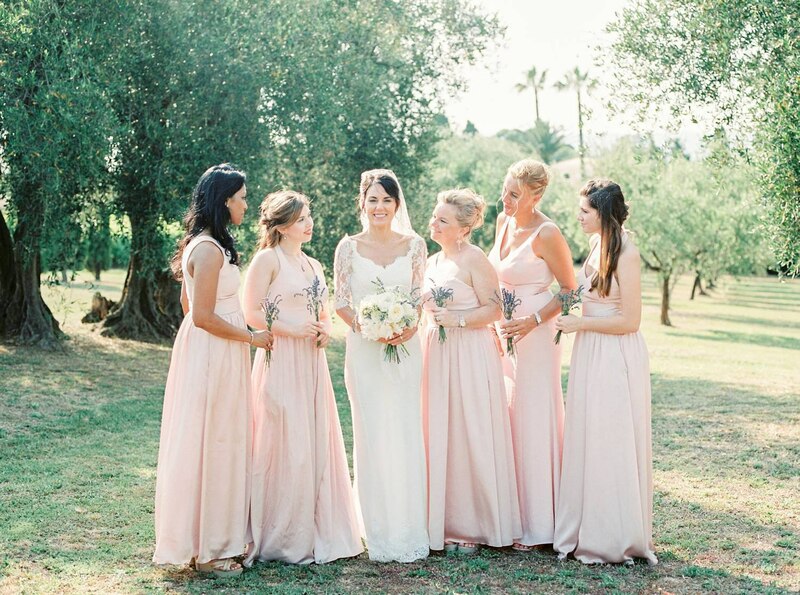 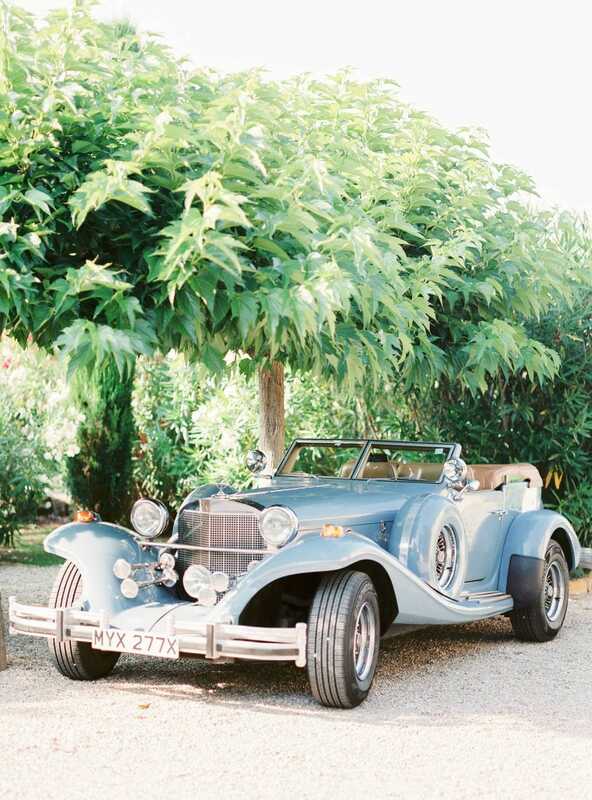 For the reception and dinner, Lisa and Franck from Wanderlust Wedding managed to create a truly romantic Provence wedding atmosphere by working with the beautiful and natural elements the region has to offer. 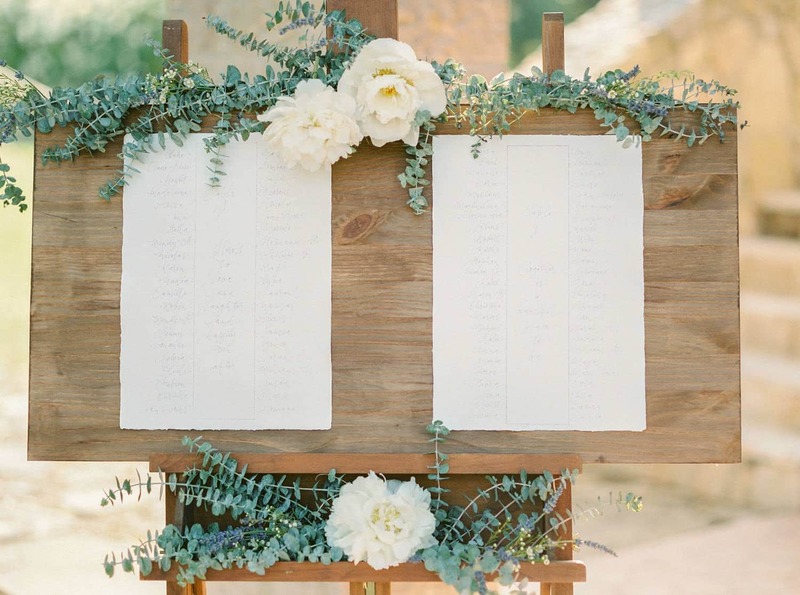 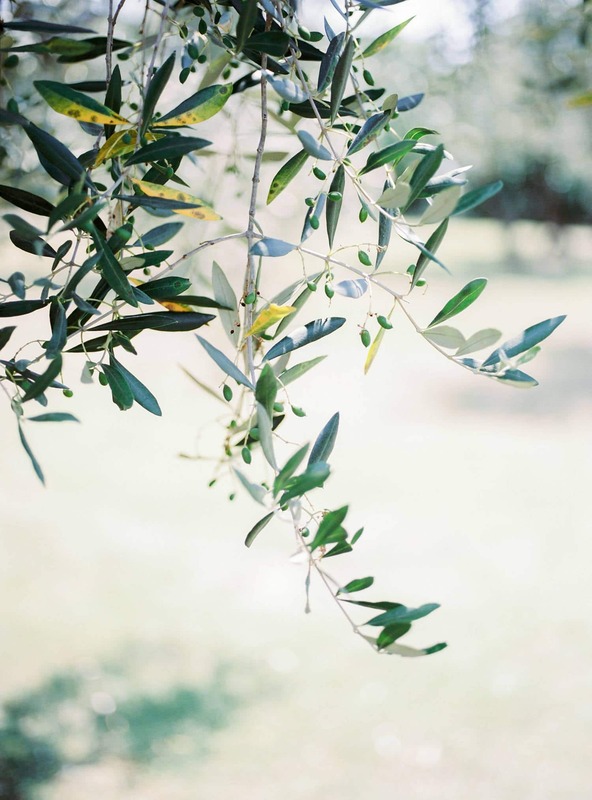 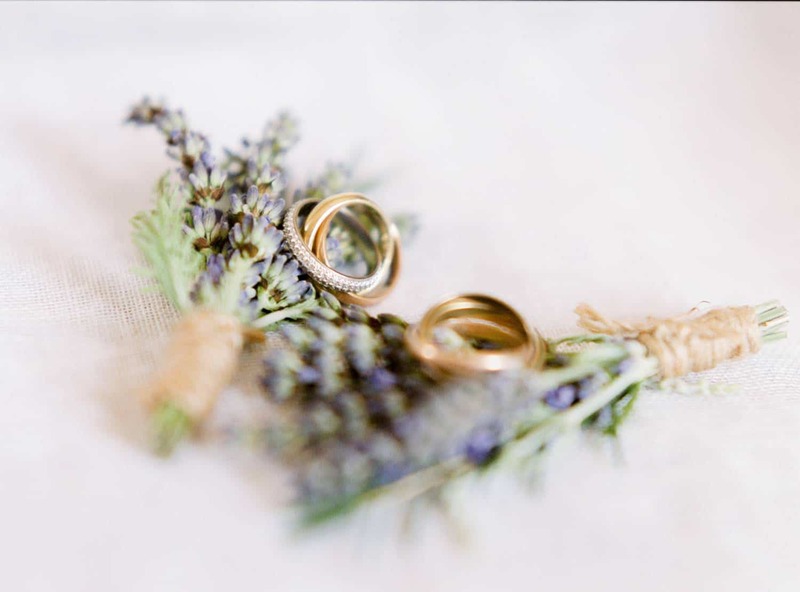 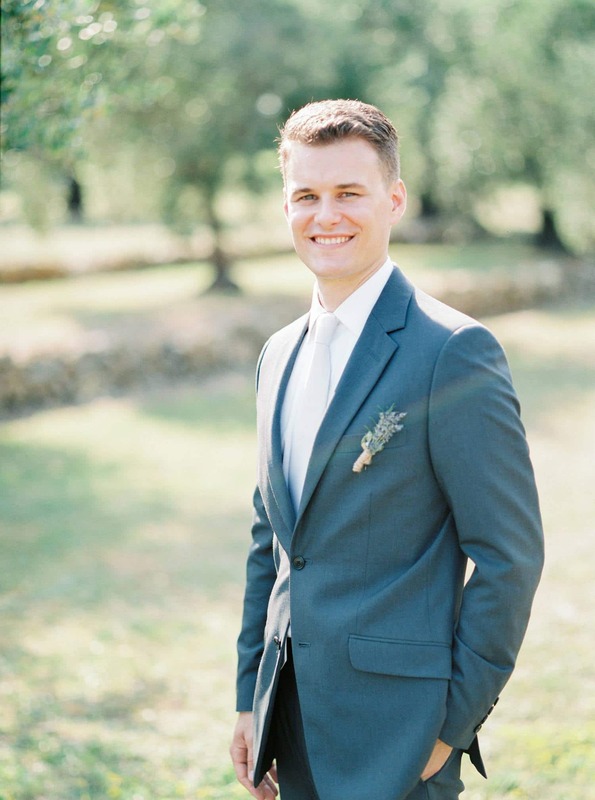 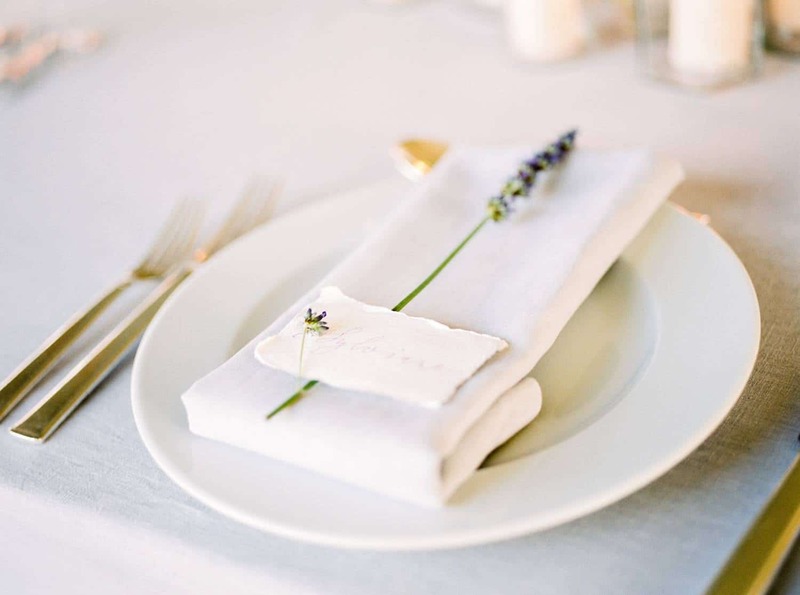 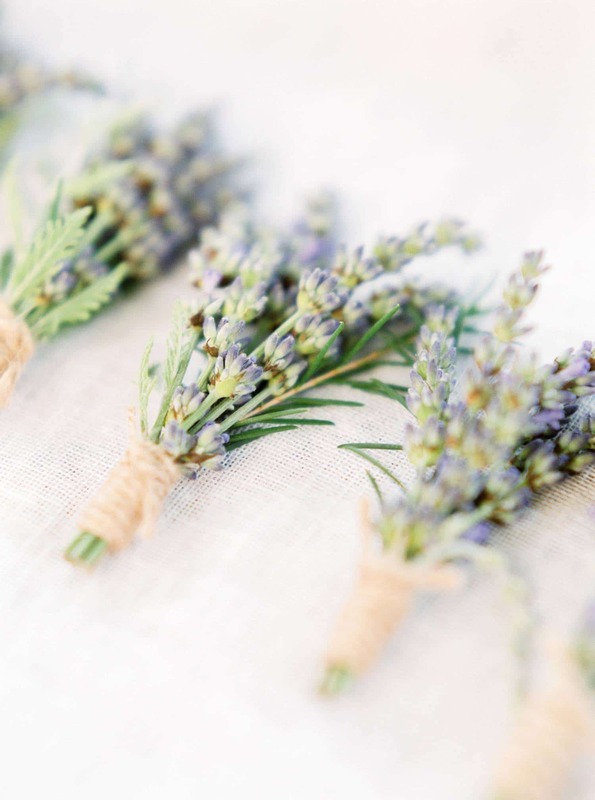 Thinking of lavender as a detail throughout the day, amongst the olive trees – what could one expect more from a Provence wedding? 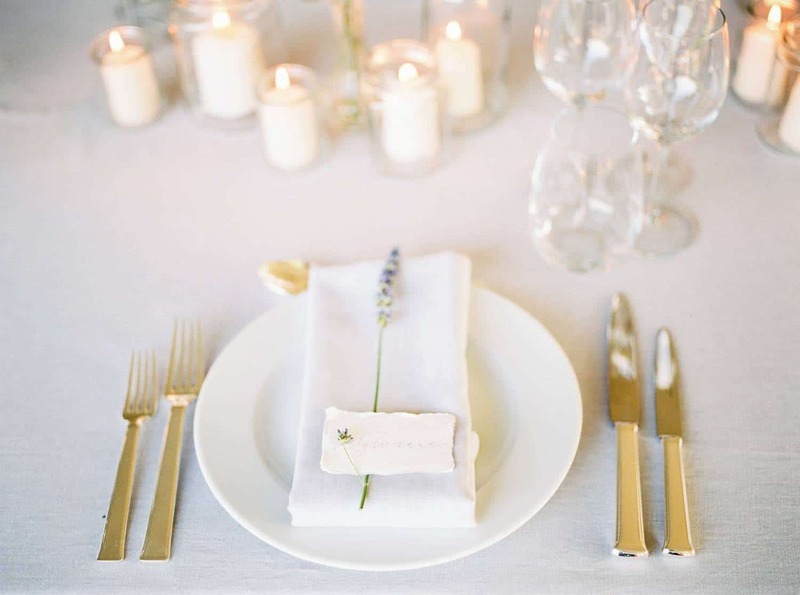 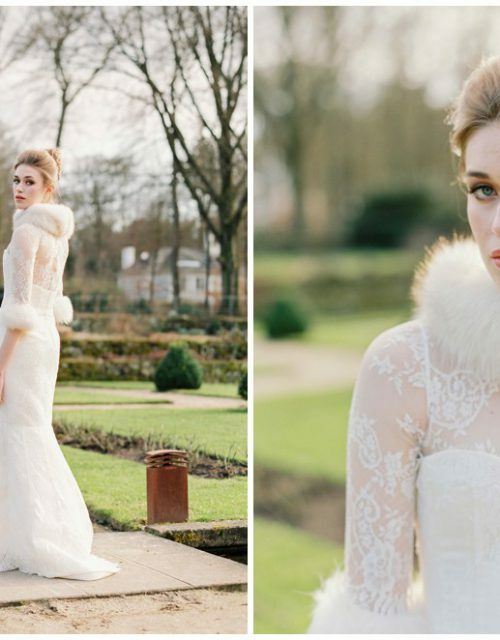 Adding the floral skills of D’Amour et de Deco was the perfect finish of this beautiful day. 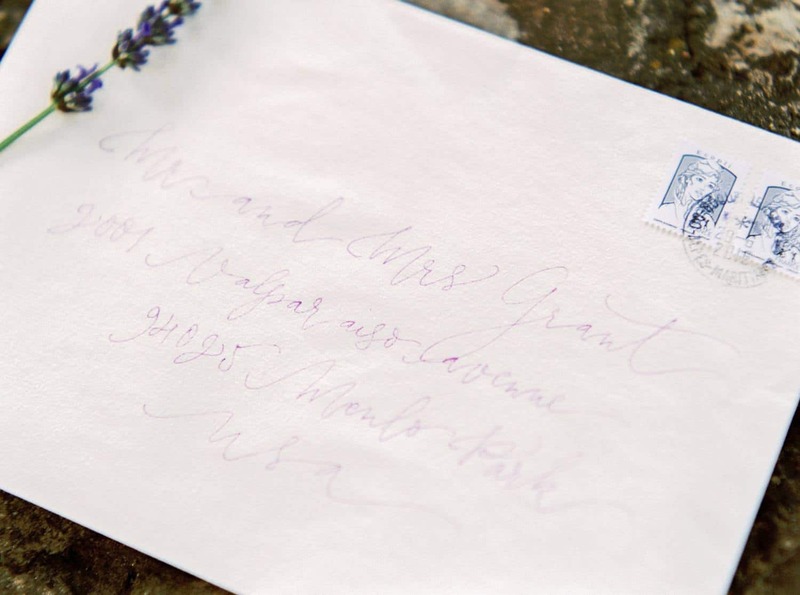 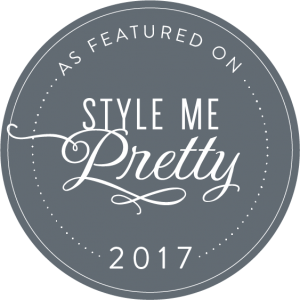 In the same organic and natural style, the stationery was created by Niceplume in an amazingly beautiful greyish-purple color scheme. 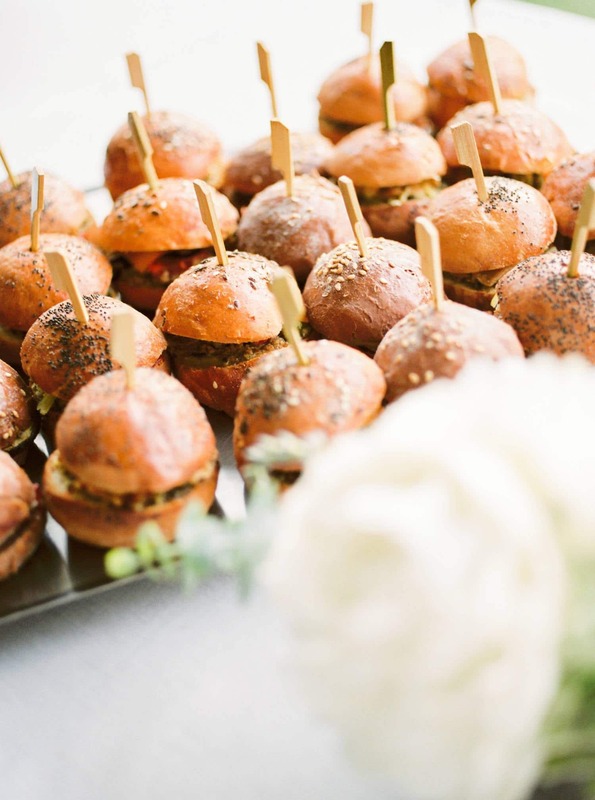 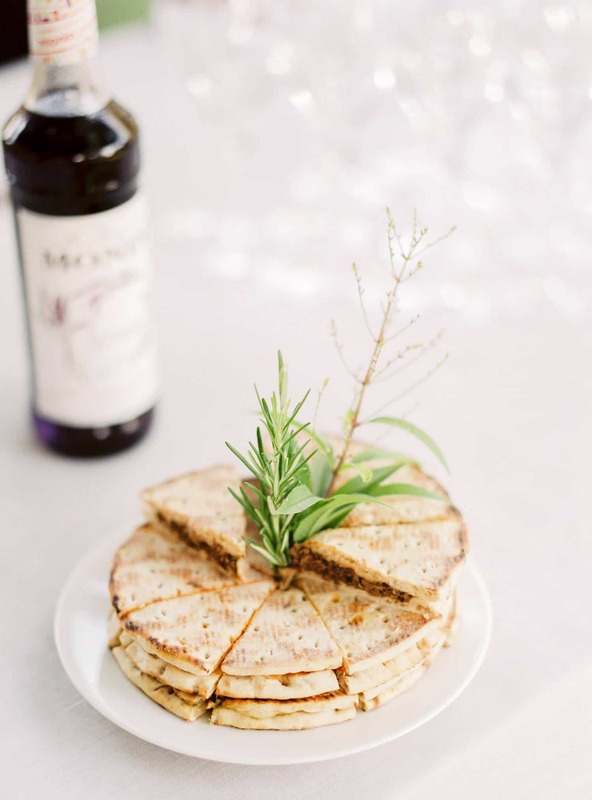 Having a vegan reception dinner with a delicious menu by Angelika Fürstler, the organic accent continued throughout the day, from refreshing and natural lemonades to lavender champagne and a wedding cake by Citron Pavot. 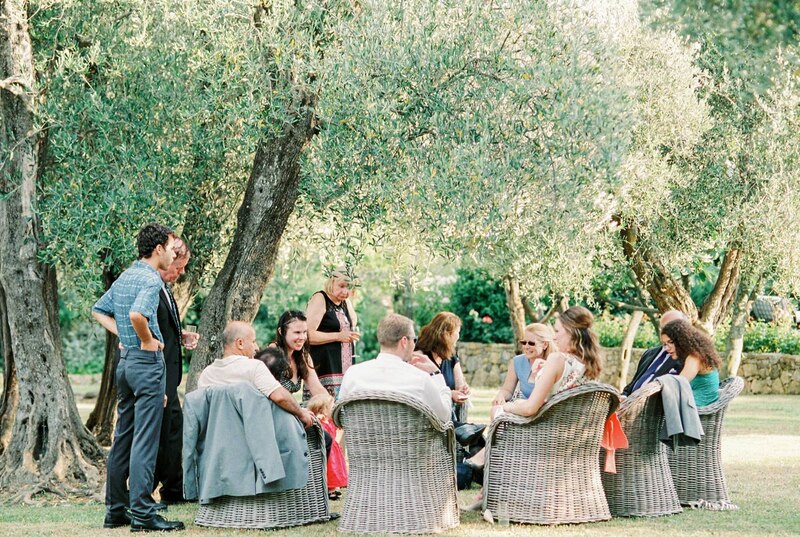 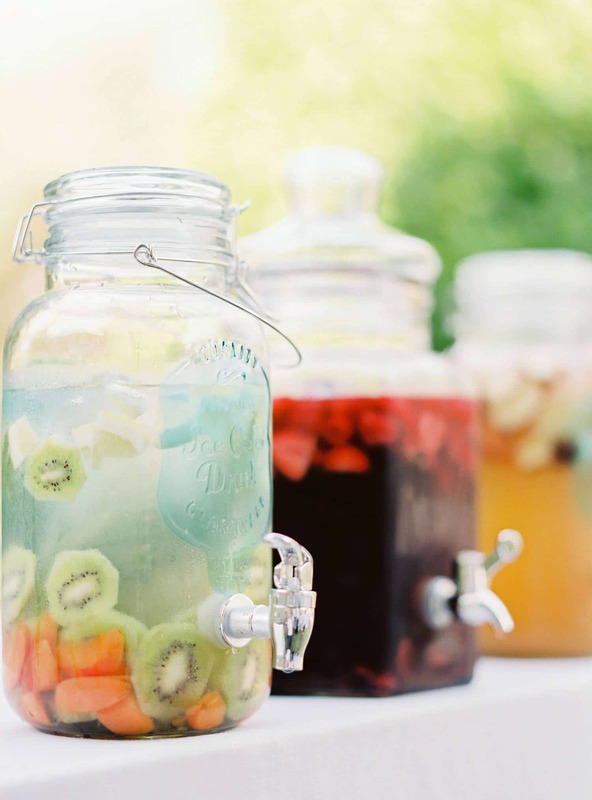 Working with vendors at a high quality level definitely was a big plus at the destination wedding. 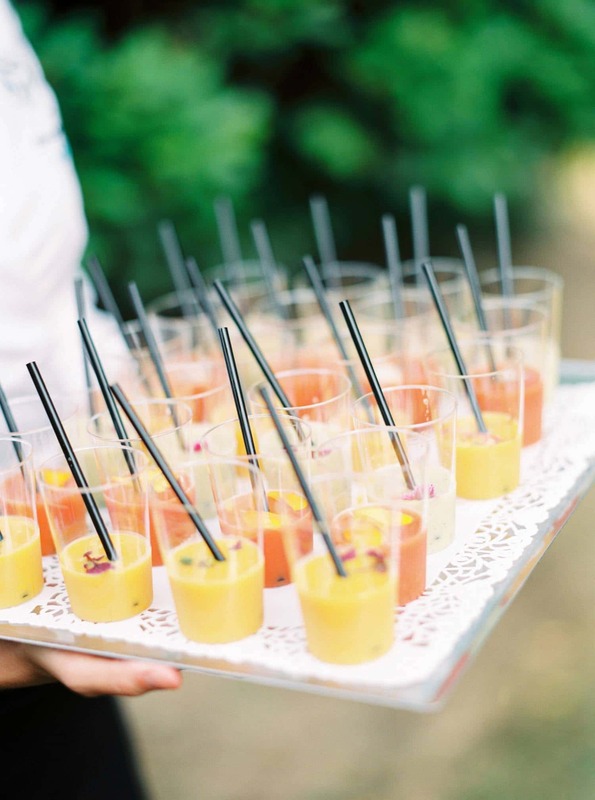 It helps take away the stress and guarantees good service at all levels.